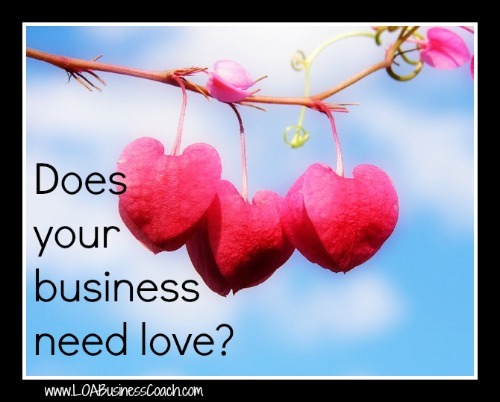 Does Your Business Need Some Love? Home » Does Your Business Need Some Love? If you think about the quote above, can you disagree? I sure can’t. I have been studying the esoteric, philosophy, religion, self development, meditation, ancient knowledge, etc for almost 2 decades and I have never come across anything more powerful than love. Why not use it on your business?! There are millions of entrepreneurs chasing thousands of marketing experts on what to do for their businesses; they spend possibly billions on the programs, reports, techniques, books, etc. I think one of the most genius things you can do for your business is appreciate it, grow it, strengthen it and build it by channeling the vibration of love towards your business. Your business is precious. Your business is worthy. Why not give it the love your business deserves?! Phil and I did a whole show on it! 🙂 Click this link and give it a listen. We would love your feedback.